There is a transfer gate to the Fujikyuko Line at the JR Chuo Line Otsuki Station . 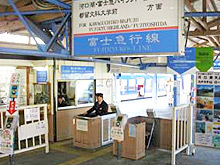 Please ask for and pay for the Fujikyuko Line tickets in cash. Please show it to a train station staff member. 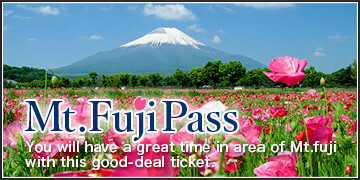 You will be asked to buy a Fujikyuko Line ticket. There is a touch Panel at the ticket gate into the Fujikyuko Line. 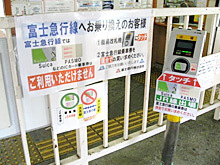 Touch your IC card to the panel and the charge from the JR ride will be deducted. Please buy a new ticket for the Fujikyuko Line. 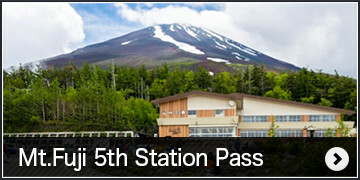 If you arrived to Otsuki from the JR, please turn in your ticket to a train station staff member. You will be asked to buy a Fujikyuko Line ticket. 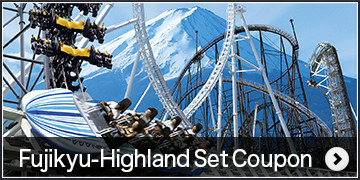 You can show your ticket at the ticket gate and pass through to ride the train. 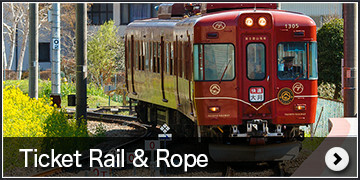 The Fujikyuko Line is a privately owned train line. 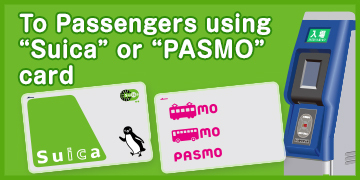 IC Cards(Suica, Pasmo, etc), the Japan Rail Pass cannot be used to ride this line. Please pay for your ticket in cash. 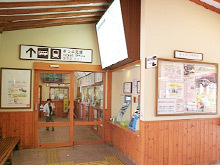 At Kawaguchiko Station, the last stop on the Fujikyuko Line, there are train and bus ticket windows, restaurants, shops, and coin lockers. In front of Kawaguchiko Station there is a station for the Fujitozan bus, which goes to the 5th Station of Mt. Fuji. 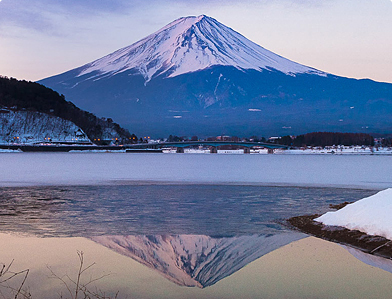 Mount Fuji is the highest mountain in Japan. 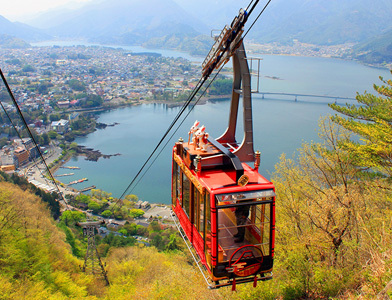 The altitude 3776 meters, you can see the beautiful scenery of the four seasons from the Fuji Five Lakes. 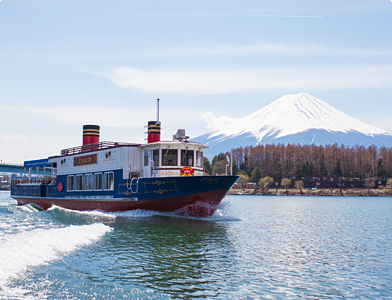 One of the Fuji Five Lakes that are specified in the Fuji-Hakone-Izu National Park. Pleasure boat European resort-style service runs. 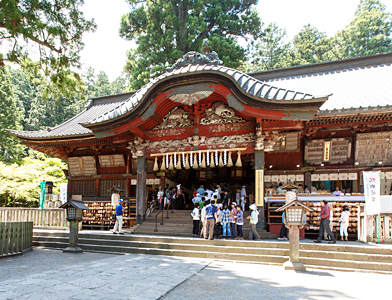 Crown Prince main shrine of important cultural property designation of the country, is said to have reconstruction of Takeda Shingen. 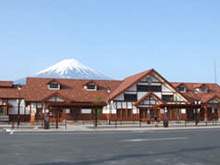 It is the starting point for a Fujiyoshida opening mountain trail. 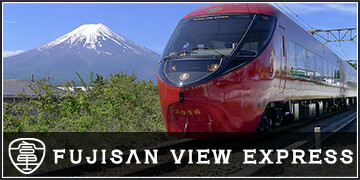 This place is chosen for "100 Fujimi views of Kanto".I can overlook Mount Fuji and am a popular place. 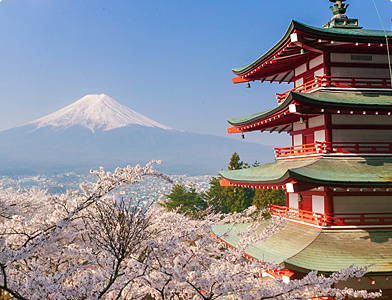 I can photograph cherry tree and Mount Fuji in spring. 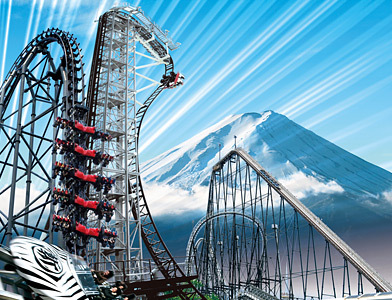 It is a theme park with rides and screaming system, such as speed and number of revolutions of the world, Thomas Land is a family-friendly. The observation deck on top of or gondola, and dolls rabbit and raccoon. 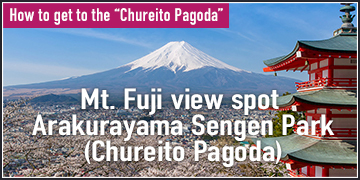 It is a great location overlooking the foot of Mount Fuji to and panoramic view of Lake Kawaguchi. Copyright © FUJIKYUKO CO.,LTD All rights reserved.